Amid the failures of of the Quartet (USA, Russia, the EU and the UN) to broker a deal between Israel and the Philistine Authority, comes a timely press release from ECI (European Coalition for Israel) that concludes that pushing back Israel to the 1949 Armistice lines violates International Law. The international human rights layer, Jacques Gauthier, recently spoke at the House of Commons and concludes that the Old City was promised to the Jews whose claim to it is in accordance with International Law. Jacques Gathier has also stated previously that the ‘Green Line’ is not a legitimate border as the PA claims but is merely where the parties stopped fighting in the Armistice of 1949. [See our blog post – The Law of War and the Jewish Rights to Jerusalem]. European Coalition for Israel Press release European speaking tour on Israel’s legal rights concluded in the Palace of Westminster in London “Pushing back Israel to 1967 lines is illegal under International Law” London, 8th July, 2011 – The Balfour Declaration, issued by the British Government in 1917, in which the Jewish people were promised a national home did not qualify as international law. However, the San Remo Resolution of 1920, which incorporated the Balfour Declaration, made the pledge binding under International Law. The San Remo Declaration, together with Article 22 of the Covenant of the League of Nations and Article 80 in the Charter of the United Nations, are still applicable today. 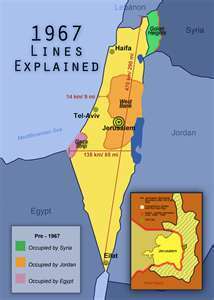 Pressuring Israel to go back to 1967 lines and dividing Jerusalem would thus be a serious breach of International Law. In his speech, Gauthier reminded the participants, among them members of both Houses of Parliament, of all the good that British Governments have done over the years to pave the way for a Jewish state, but also about their broken promises. – ‘Just imagine how the world could have been a different place if the White Paper of 1938 which prevented Jews who tried to flee Germany from entering Palestine, had not been issued by the British government.’ ECI director Tomas Sandell noted that it is often easier to commemorate and regret events of the past rather than to make wise decisions in the here and now. -‘History is being written as we speak. Let us make sure we make decisions of which we can feel proud when the events of 2011 are added to the history books’ he said, appealing to the British Government not to pressureIsrael into accepting the 1967 lines. Let us go up to the Mount of HaShem to the House of the God of Jacob; that He may instruct us in his ways; and that we may walk in His paths. For the Torah shall go forth from Zion, the word of HaShem from Jerusalem. A literal reading of this would seem to strongly suggest that true Torah comes from true Jerusalem which is the Old City. 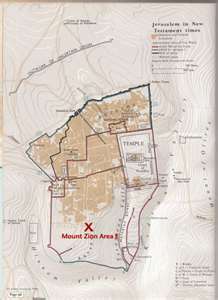 The Mount of HaShem is the Har Bayit – Mountain of the House referring to the Temple Mount. The House of course is the Temple. 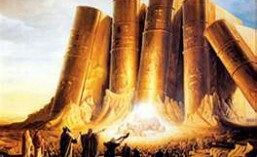 The Torah going forth from Zion is specifically Mount Zion. All these areas are within the walls of the Old City. During my visit to Israel in 2010, I visited the Old City twice and took note of the many synagogues and Yeshiva’s in the Old City. Isaiah states that Torah will go forth from this specific place. I can see now why so many Jews want to live in Jerusalem – for the abundance of real authentic Torah – the Torah Life. This is not to say that rabbinic teaching outside the Old City is 2nd rate. But the idea is that one should receive Torah from a pure stream of life-giving waters, Mayim Chayim. Do not be fooled by the 2nd rate teachers, such as come from the worlds of Hebrew Roots and so-called Messianic Judaism. But receive Torah from those who have received it from their fathers and their fathers father…all the way back to Sinai. Gauthier points out that the Green Line is only relevant to the Law or War and is where the warring parties stopped fighting and cannot be used as a basis of claims. Gil Hoffman of the Jerusalem Post, in a recent article, states that large majorities recognize importance of keeping Jerusalem under Israeli sovereignty, oppose transferring Temple Mount to Palestinian control. Seventy-seven percent of Israelis oppose returning to pre-1967 lines the poll reads “with minor border adjustments”] even if it would lead to a peace agreement and declarations by Arab states of an end to their conflict with Israel, a poll revealed Monday. A Dahaf Institute poll of a sample 500 Israelis taken last week found that large majorities of 85 percent and 75%, respectively, recognized the importance of maintaining a united Jerusalem under Israeli sovereignty within the framework of any final peace deal and opposed transferring the Temple Mount to Palestinian control even if the Western Wall were to remain in Israeli hands. The poll found that 60% of Israelis believed that defensible borders would ensure security more than a peace agreement would, and 82% considered security concerns more important than a peace deal. 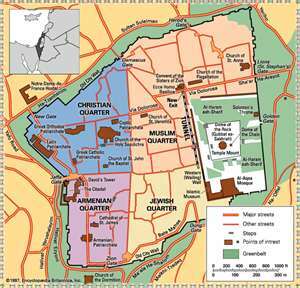 The Old City is basically divided into 5 zones – the Christian Quarter, Armenian Quarter, Muslim Quarter, Jewish Quarter and the Temple Mount. This is what actually makes up the true Jerusalem proper. All the maps created by the occupiers of Jerusalem throughout the centuries have Jerusalem located within the walls of the Old City. What lies outside of those walls is not the Jerusalem of the claimants. In 1988 Jordan gave up it’s rights to any claim on the Old City and stated that they were assigning Jordan’s rights to the Palestinian People, which according to Jacques Gauthier could not be accomplished under International Law.